Brake From Everyday Life, Maine Style! 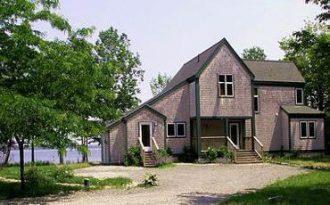 Vast selection of cottage rentals surrounded by Maine’s natural beauty. 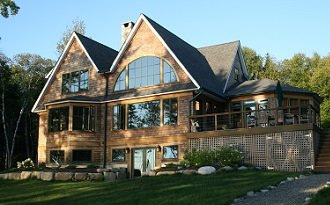 Oceanfront newly constructed light filled shingle style home designed by Eric Chase. Enjoy beautiful island views, gorgeous sunsets and a quiet, secluded location. Oceanfront. 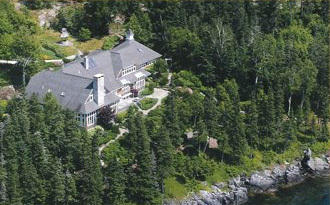 Premier 3 acre estate in spectacular setting with 325 ft of shorefrontage on Blue Hill Bay and overlooking the Mountains of Acadia. Top quality and design inside and out. 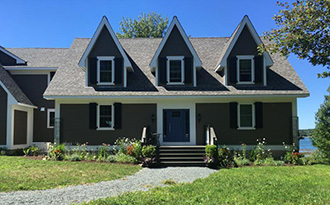 Ocean Garden Estate is a grand property in a stunning setting on Penobscot Bay, overlooking the hills of Camden. It boasts 8,500 sq feet of incredible living space, 440 feet of waterfront, and 12 acres of professional gardens, lawns and woods. With an unparalleled 180 degree ocean views, Clamshell by the Sea sits on 4 acres with 300′ of shoreline on the east side of Frenchmans Bay overlooking Mount Desert Island and Cadillac Mountain. Waterfront, private. Striking oceanfront contemporary on Thomas Cove, a peaceful & picturesque inlet overlooking Eggemoggin Reach – one of the most beautiful sailing areas in the world.